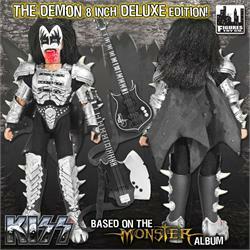 KISS 8 Inch Action Figures Series Four "The Demon" Bloody Variant. 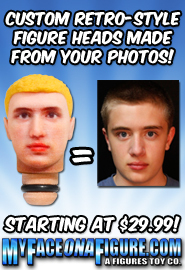 Limited to 1000 pieces worldwide! The tongue-thrusting vampire bassist known as "The Demon" is highly detailed and features 16 points of articulation. 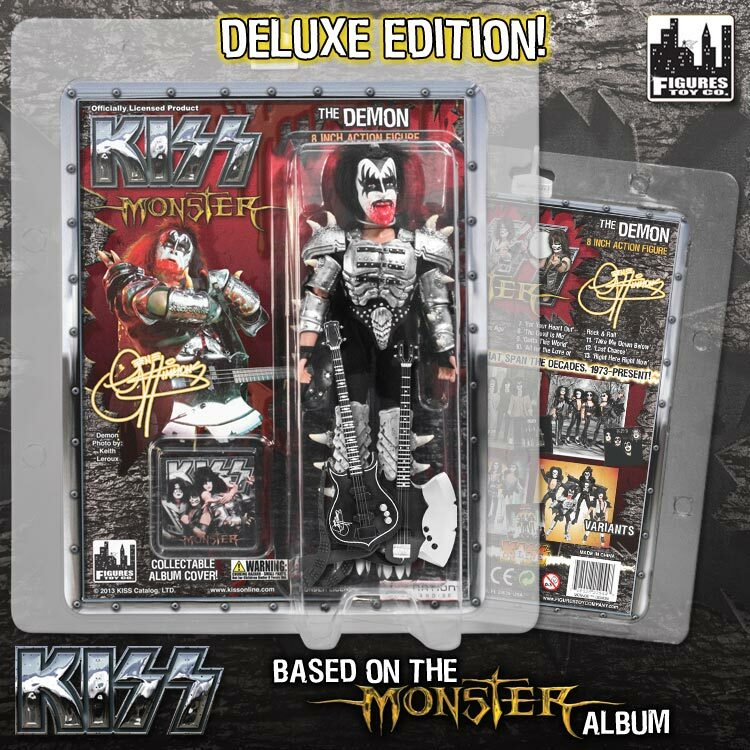 The Demon's face paint and stage outfit were derived from KISS's album entitled "Monster" that was released on October 9th, 2012. His highly detailed legendary style comes complete with bat wings and rubberized armor/boots. Each piece of armor has multiple bones sticking out of its plates. Variant edition has blood splattered all over his face!